When you need a 3D rendering design firm & graphic designer in Oregon, OR whether you are located in Portland, Eugene, Salem, Hillsboro, Medford, Springfield or any of the surrounding areas, Capital Exhibits is there for you! Since breaking ground in the 3D rendering design and graphic design firm since 1994, we have been committed to helping you “Build Your Best Image.” Capital Exhibits does not outsource our 3D rendering design or graphic design work. 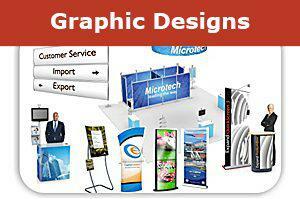 CE provides large poster printing for indoor and outdoor use. We want to partner with you to learn about your business and specific needs. By developing a better understanding of your business goals, we can utilize our 3D rendering design or graphic art design services to build functional custom displays and eye-catching promotional products that make your company stand out. Our team of contemporary graphic designers is located in-house, meaning that we can ensure fast turnaround time and low costs. We offer a wide variety of trade show displays such as Table Tops, Back Wall Displays, Hybrid Displays, Outdoor Displays and much more. 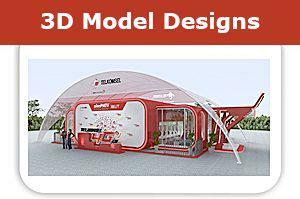 Take a look at our 3D rendering design gallery for a few design concept ideas. We can build a package for you that includes top-notch 3D design and graphic design for all your marketing needs – all within your budget! See the difference it can make in your sales when you let Capital Exhibits take care of the everyday design details. We provide brochure design work to develop informational and handout material. We offer business card design services and even custom tee shirt designs. Ready to update your logos or graphics, but feel like you are missing that special touch only offered by professional graphic design firms? We can help bring new life to your old designs or collaborate with your own graphic designers to cultivate some truly original business graphic design concepts. Capital Exhibits has got the tools you need when it comes to promoting your business and improving your brand awareness. At Capital Exhibits, we understand the need to maximize your trade show budget with the right mix of marketing materials and exhibit structures. We will develop a product package that leads to more visibility and, in turn, more profit. We want to know what we can start creating for you. We provide it all — from graphic design quotes and rates to t shirt graphic design prices. Call (866) 730-3746 to speak with a team member, or send us an email at [email protected].